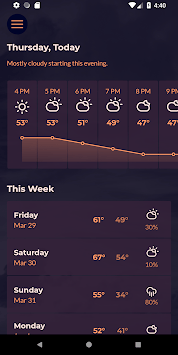 Breeze is a weather app with a simple and bold user interface. 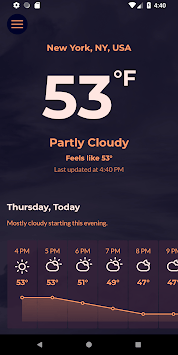 Powered by Dark Sky, Breeze brings the most accurate weather to your device and presents it in a minimal and easy-use way. 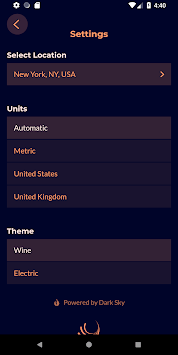 Choose between the relaxing Wine theme and the vibrant Electric theme.